KELLY PARLEE’S life was about to change. It all started October 2014. Kelly was attending a weekly after school club entitled MASTERING ME. 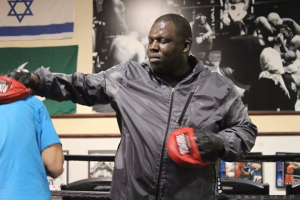 Troy Ross and Dameon Okposio were teaching life skills with a side of Boxing. Little did Kelly know what would follow! Dameon and Troy are truly role models. Taking time out in this fast paced world to help High School students (male’s only) achieve their goals is simply noble. Troy “THE BO SS” Ross is a 2x Olympian. His amateur record is 93-7. Troy was a medalist in both the Common Wealth and Pan American Games. His professional record stands at 25-3. Sixteen wins came by way of knock out. You may have seen Troy in any number of Hollywood BOXING blockbusters! Cinderella Man being my favorite!!! He is currently busy running a Montessori School with his wife …and changing lives. DAMEON OKPOSIO is a man I admire. In spite of his rough start in life and setbacks along the way… his word is golden. Bigger, better things are always ahead. “NO!” is not in his vocabulary. Today he is a Police Officer with a passion for everything boxing. If you don’t know him you will! From owning Ontario’s Boxing Hall of Fame to my favorite boxing magazine BELOW THE BELT, Dameon is making his mark. Back to Kelly Parlee! He has always been an athlete. He is a former Rugby player and Judo competitor. He had no idea the “sweet science” or boxing would soon dominate his life! Dameon saw something special in Kelly. MASTERING ME led Dameon to make Kelly an offer. This put Kelly on a new path! Dameon and the DO CREW will train Kelly from raw newbie to BOXING ONTARIO amateur to professional! Kelly is thrilled to be living the boxer’s life alongside the DO CREW. Kelly weighs in at 165 pounds. He fights orthodox. He is training intensely at HUF BOXING GYM under the watchful eye of the DO CREW. This is where I come in! 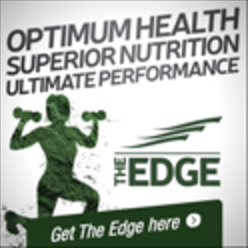 I am a personal trainer, sports nutritionist and soon to be registered holistic nutritionist. Dameon introduced me to “his fighter” at The Golden Gloves Tournament. I was blessed to be announcing the fights this past May 22 and 23. In between rounds Kelly and I had the opportunity to chat. Kelly was helping Dameon, throughout the weekend. Kelly is a well mannered young man with his head on straight. I knew I wanted to be a part of his journey. On May 28, 2015 Kelly and I connected. After a string of emails, Kelly began his customized protocol June 1, 2015. Kelly is fully committed to a future in the ring. His training doesn’t end when he leaves HUF BOXING GYM. He pushes himself 24/7 incorporating running and strength training. First order of business is to maintain his current weight with a focus on increasing lean muscle. Strength, speed and agility…Kelly is a boxer! Understanding Kelly’s current training program was the first step in determining calorie requirements. Volume, intensity and type of training all play a part in “when and what” Kelly would eat. I had to make sure he had loads of energy to train yet enough stored to call upon when needed. I am not a boxing coach therefore I did not inquire about his ring work. I am more concerned about what he was doing alone. We added in plyometrics and sprinting sessions! Kelly WAS a relatively clean eater. I eliminated a few things! Kelly now eats with his boxing goals in mind. He understands the connection between food and training. Kelly follows his personalized meal plans. He preps all meals. Fresh nutrient dense foods have allowed him to feel satisfied. We have substituted some of his go to foods for healthier choices. 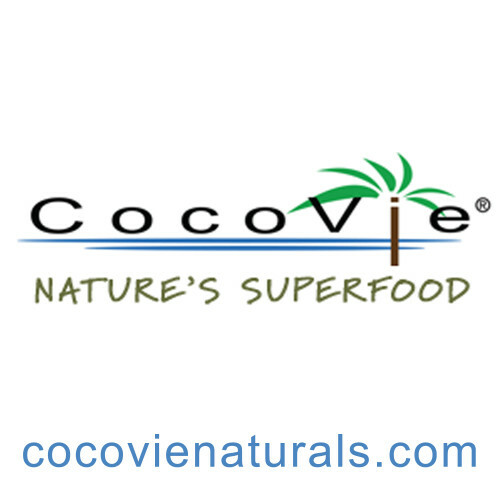 We have incorporated quinoa, coconut oil, sweet potato, sugar free coconut water and various seeds into meal plans. Meal timing is a very important. Kelly is now capable of adjusting meal/ snacks times or food choices when required. GI distress or stomach issues is not an option. Strenuous training requires extra protein. 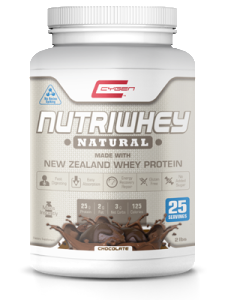 Increasing his protein was accomplished using CYGEN NUTRI- WHEY Natural Chocolate Protein. 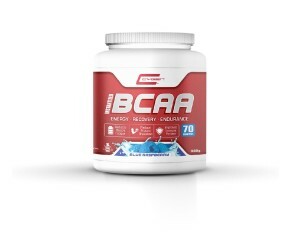 Kelly started taking BCAA‘s. Given his weight and training schedule he is taking 6 grams 2x day. 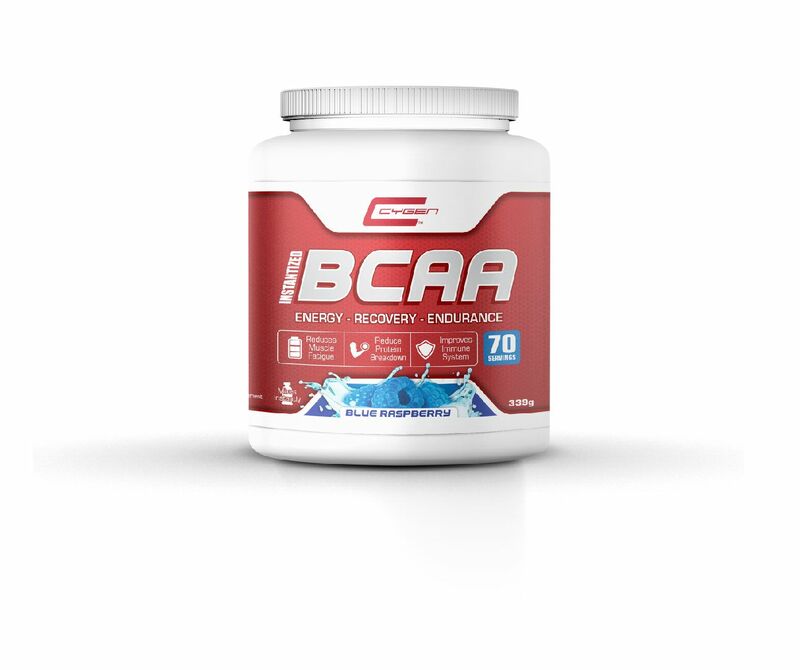 CYGEN makes delicious blue raspberry BCAA‘s. The other supplement I added is creatine. I have him on a 15 mg split. This is another supplement that tends to work even better when timing is a factor. A major issue with any boxer is water. Kelly loses about a pound or two during training. Water is ESSENTIAL for life. Athletes…I can’t stress enough how much water or lack of it IMPACTS training, weight loss, recovery…everything. Kelly adjusts his intake daily. Water is specific. For water tips check out my article in BELOW THE BELT! One thing I stress to all athletes is the importance of recovery. Muscle repair means Sleeping at least 8 hours. Having down time prevents over training. Kelly finds biking with his cousin the perfect boxing break. Aches and pains love epsom salt baths. Massage and yoga are a great way to relax while connecting mind, MUSCLES and spirit! Over the last two months, Kelly has followed his protocol. I have made some small changes along the way. The menu was tweaked by adding legumes. I am thrilled he has reported an increase in strength, stamina and overall energy. He now realizes the importance of WHAT you eat and WHEN you eat it. I am so proud of Kelly’s dedication and determination. This young man is on a mission. I am grateful for the trust he and Dameon put in my nutrition plan. Dameon says, “Kelly is ready! It’s just a case of matching him up”. Dameon is looking for a fight August. He will be making his debut through Huf Gym in Mississagua. 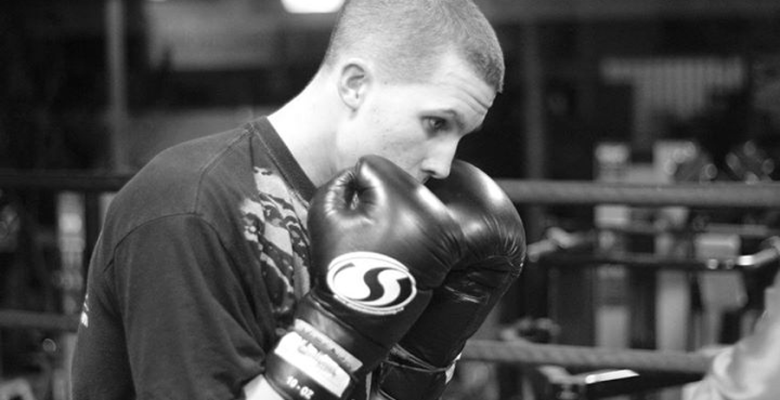 I am looking forward to watching Kelly “THE SNIPER” Parlee soon be 1-0!!!! DO N’T FORGET this Saturday JULY 18, 2015…. OKPOSIO PRODUCTIONS hosts the Boxing Trade Show at the Hansa House in Mississagua. The endless list of vendors will keep you busy all day…. RIGHT to 7pm when “Fight Night Never Give Up” starts. Tickets are $20 in advance or just $30 at the door! 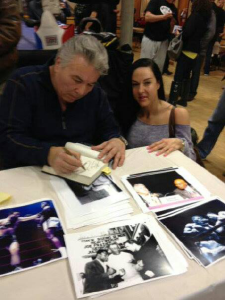 Don’t forget…back issues of BELOW THE BELT boxing magazine will be available at the show! The latest issue features “KNOCK OUT NICHELLE” by yours truly!